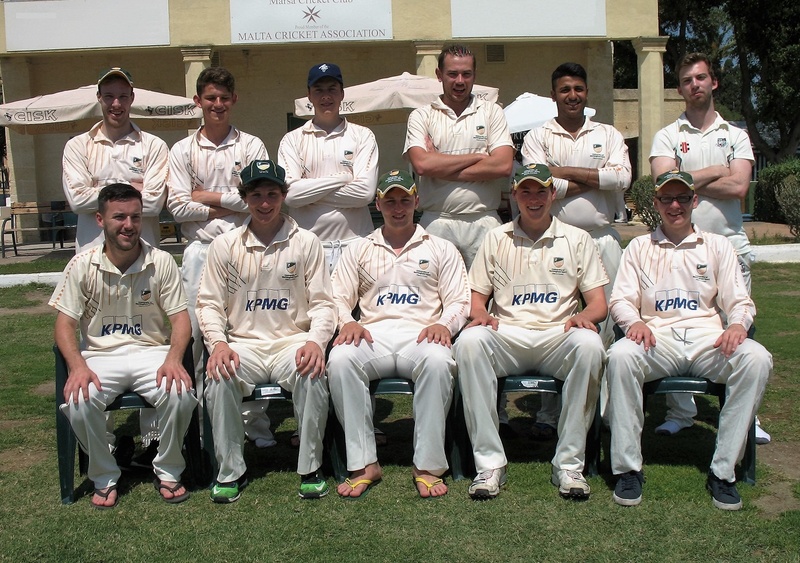 It was three wins out of three for the University of Nottingham Cricket this week against the locals Marsa CC. Saturday morning’s T20 saw Nottingham reach 148 in 20 overs thanks to Harvey and Chmielinski (29 apiece). Xuereb, Maclean and Anand took 2 wickets each for Marsa. In reply, Marsa fell 33 runs short with Bikram Arora the only shining light with 27 runs. For Nottingham, Alexander Harvey took 2 for 20. On Sunday, Nottingham recovered from early wickets to reach 161 for 8 from their allotted 30 overs. Ed Hayhurst (27) and Rajan Takhar (26) were the top scorers. For Marsa, Amar Gorania took the incredible figures of 5 for 13 from 6 overs. However his efforts were in vain as Marsa slumped to 114 all out in reply. Mark Sacco lasted 70 balls for his 47 runs. For Nottingham Thomas Free captured 4 wickets for 8. On the Public Holiday Wednesday, Nottingham again batted first and scored 153 for 8 from 20 overs with keeper Ashley Merritt top scoring with 60 runs. David Marks was the stand-out bowler for Marsa with 2 for 9 from his 3 overs, however Ethan Xuereb took his best bowling figures with 4 for 23. In reply, Marsa were again humbled, all out for 107 runs in the 19th over. Zubair Raja (25) top scored, while Gowtam, Warburton and Coates took 2 wickets each for Nottingham. Uni of Nottingham 148 for 8 (Harvey (29) Chmielinski (29); Anand 2-17); defeated Marsa 115 all out (Arora 27; Harvey 2-20). Player of the Match: J.Grima (Marsa). Uni of Nottingham 161 for 8 (Hayhurst (27) Takhar (26); Gorania 5-13); defeated Marsa 114 all out (M.Sacco 47 ; Free 4-8). Player of the Match: A.Gorania (Marsa). Uni of Nottingham 153 for 8 (Merritt (60); Xuereb 4-23); defeated Marsa 107 all out Raja 25 ; Warburton 2-2). Player of the Match: A.Merritt (Uni of Nottingham). Umpires: Les White, Subhas Roy and Allan Swift. Player of the Series: Ashley Merritt (Uni of Nottingham).